A 17-year-old boy will celebrate his high school graduation month thanks to a 5.5-month pregnant, off-duty Los Angeles County Sheriff’s deputy who rescued him from the bottom of a lake. 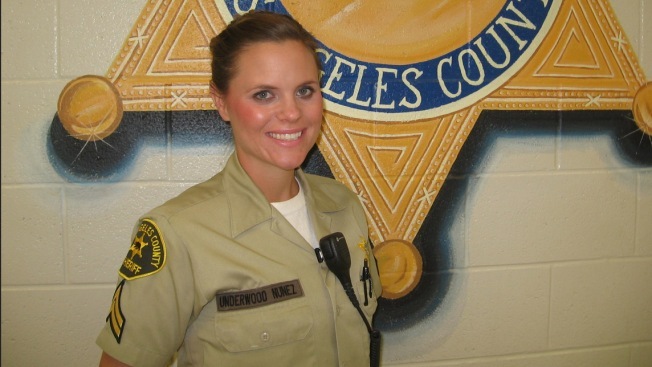 Deputy Jenna Underwood-Nunez was having dinner with her family in the Silverwood Lake campground in San Bernardino County when she heard screaming coming from the lake. A glance toward the water revealed frantic splashing about 200 yards away from the shore. Authorities revealed the details of their colleague’s harrowing April 27 rescue on Thursday. “Placing herself and her unborn child at potential risk, Deputy Underwood sprang into action and immediately ran toward the drowning victim,” Underwood’s department said a statement. Fully dressed, Underwood swam about 200 yards into the water to find the teen had already become fully submerged 15 feet below the surface. He was laying on lake bed. Underwood dove to the bottom, pulled the victim up and then to shore, where she performed four cycles of CPR before the teen regained consciousness. The boy was airlifted to the hospital and is expected to make a full recovery. A six-year veteran of the force, Underwood works at the Century Regional Detention Facility.